Grandchamp, MaryAnn G. Freidhoff Grandchamp, age 80, of Stratford, beloved wife of Raymond Grandchamp, passed away peacefully on January 18, 2019 in her residence with her loving family by her side. MaryAnn was born on May 21, 1938 in Johnstown, PA and was the daughter of the late William and Emma Widmann Freidhoff. She graduated with a degree in Fine Arts from Moore Institute of Art in Philadelphia, PA and some of her pieces will be on display at the wake. 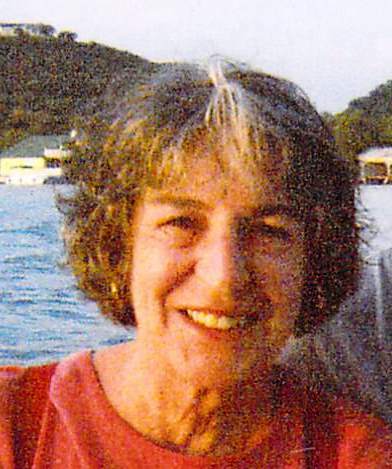 MaryAnn enjoyed the many trips she took with her husband which included vacations to Italy, to many islands of the Caribbean, as well as their summers on Block Island, Rhode Island. She loved spending time with her family and friends, who all appreciated her brilliant smile and great sense of humor. Antiquing was another passion. She would frequent the finer stores or the occasional yard sale where she would find her “treasure” and then place it in the perfect spot in their home. In addition to her beloved husband, Raymond of 57 years, MaryAnn is also survived by two sons, David Grandchamp and wife Barbara and grandchildren Alexander, Douglas and Lauren from Glastonbury, and Matthew Grandchamp and wife Lynn and grandchildren Gabrielle and Jack from Easton, two daughters, Celina Heyliger and husband Steve and grandchildren Jeremiah and Samuel from Whitefield, NH and Lisa Grandchamp and grandson Elias from Palmer, AK, one brother, Frank Freidhoff and wife Marion and niece Jennifer from Oklahoma City, OK. In addition to her beloved parents, MaryAnn was also predeceased by her grandson Zachary Dubriske. Funeral services will be held on Thursday, January 24, 2019 at 10:30 AM in St. James Church, 2070 Main Street, Stratford, where A Mass of Christian Burial will be celebrated. Interment will be private and at the convenience of the family. Friends may call on Wednesday, January 23, 2019 at the Galello-Luchansky Funeral Home, 2220 Main Street, Stratford from 4:00 to 7:00 PM. In lieu of flowers, those who so desire may contribute to the Dana-Farber Cancer Institute in memory of MaryAnn Grandchamp to support cancer research and patient care at Dana-Farber Cancer Institute, Po Box 849168, Boston MA, 02284 or online at www.myjimmyfundpage.org/give/maryanngrandchamp .